Enhance your personal security and privacy without compromising productivity! 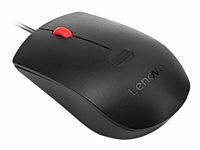 The Lenovo mouse offers superb input functionality with an integrated fingerprint sensor for password-free authentication. Log-in instantaneously with one-touch biometric verification.